Jmine Consulting provides customized personal and corporate services includes Feng Shui or Geomancy consultations, Fortune readings and Career Consulting to release the untapped potential in your life and to solve potential problems. 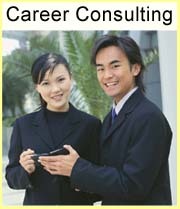 They cover various aspects such as wealth, career, health and relationships. We also offer other personalized consultations that are tailored to suit your many needs. Our customized services, effectiveness and practical approach have won us a customer base that spans countries, religions, races and professions. Our past and existing projects include residences, offices, commercial properties, retail outlets and shops, restaurants, F&B outlets, warehouses, factories and land reviews etc. Feel free to contact us to reap the rewards of your untapped potential. Where is your best sitting position in order to boost your luck, sales and even advancement prospects? How to strengthen your relationships and increase your popularity? What are things you could do to shield yourself from office politics and gossip? What are the intangible factors affecting the different areas of your life? What are the choices that are advantageous to you when you are at a cross road? Jmine Consulting is your solution. Would you like to lift your business to new heights? Have you thought about increasing sales and expanding business? What is causing so many obstacles when you have already done your best for your company? How to attract an endless stream of clients and retain them? How do you identify and build a winning team who would support you well and grow your business? Jmine Consulting will help you with your business, your clients and in building up and strengthening these areas. We offer professional and quality services to enable you to achieve your goals. Chinese Horoscope 2019 Pig Year is here. The abstract shown here is from our monthly newsletter which were sent to our clients before each lunar month. Our newsletter covers projections and alerts of the next lunar month, events and products updates. It has been such a long time that I have written to you. With the 8th lunar month of the Goat year arriving, the energies of 2016 will begin to influence our lives. For those who have done Feng Shui with me will begin to feel that what has been said about 2016 will take effect. Hope that you can begin to prepare for 2016's arrival by taking the necessary precautions to avoid troubles and reap the opportunities. negative matters. There will likely to be steep roller coasters populating with chaos and uncertainties. We will expect some to be buried by ashes while some will rise as heroes in this lunar month. Probably, logic will not work very well while intuition will heighten. Have faith in yourself and let your instincts navigate you. Many will be witty. This will favour handling complex subject matters and making long term plans. Having said this, this will not be a good month for rushing into major implementations. sustainable. Try to keep your expenses in check. If you were to receive windfall from game of luck, walk away from the game and enjoy your winnings. Greed can cost you more than what you win. 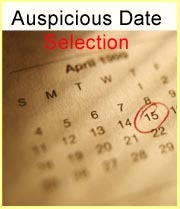 This month will be an unfavourable month for females. Females will tend to fall ill or being accident prone. It may be difficult to get along with them or they may get into some troubles such as making mistakes and having legal implications. Be patient and tolerant with your female friends or relatives. your reputation. You can consider beginning or implementing your plans in public relationships. If you start the ball rolling now, you will likely to achieve both short and long term benefits. Have a pleasant 8th lunar month! "Han Teen See has been my feng shui consultant for the last 5 years. She is always very professional and patient, and will provide as much information as I require. After engaging Han Teen's services, my career has gone from strength to strength and the money has followed suit. Now that I am buying a house, Han Teen is once again patiently providing advice and pointers on what to look out for. I appreciate Han Teen for her sincerity and know how and her rates are very reasonable. 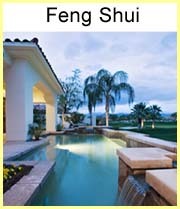 If you are looking for an honest, effective and professional feng shui consultant, look no further. Give Han Teen a call." "Found the pricing of Jmine Consulting to be reasonable and the products that were recommended to be necessary. Things have brightened up a lot and opportunities have come along as well. The home atmosphere has changed with relationships in the family also improving within a month for myself and 3 to 4 months for the rest of my family. Jmine Consulting is very responsible and anytime you message or call, they will respnd within an hour or two to answer your queries very satisfactorily. I would definitely recommend their services to my relatives and friends." "The service is just the one that I am looking for in that the sessions were perfect and they actually explained and gave me examples to make me understand the problem/situation. Their recommendations and the products made my place a better place to stay and made my house a money making factory. This happened almost immediately as I opened a small business. Furthermore, their after sales service was great and they are very prompt in handling my enquiries clearly including replying my smses immediately. Previously my other Feng Shui master scraped my money off like water and provided no after sales service. Jmine takes care of all my issues promptly as if it was their own problem. I would continue to engage their services as I am very comfortable with them and they treat me as a friend." "I found the pricing of Jmine Consulting to be very reasonable and the service professional and friendly with the consulting sessions being very comfortable and the advice given straight foward and clear. Jmine Consulting only recommends products that are needed and does not push expensive items. Both my wife and myself noticed immediately a huge difference in terms of the quality of our sleep unlike our previous home. We have also noticed a slight improvement in both our temperament about 1 month after the consultation. The after-sales service is very good with Jmine providing her prefessional advice whever I have queries. It is very easy to get hold of Jmine and they are very quick in replying to my queries that were to my satisfaction. Jmine Consulting charges reasonably and I dare to say it is the most affordable in the market and they are very humble and approachable. I would continue to engage them because of their affordability, sincerity and most importantly due to the fact that I can feel some differences. I have recommended them to my siblings and friends who have since engaged their services." "I found the pricing of Jmine Consulting to be reasonable and affordable and the service to be far beyond expectation and not money minded. The sessions conducted in a crystal clear manner and every single query was answered even those that came after the consulting session. The changes that we found since the consultation were my wife won 4D for the first time in her life after the placement of the items and as myself, I have had some luck at the mahjong sessions that I never experienced in my entire life. We noticed changes we reckon within 2 months of the consultation. The after-sales service and support was superb, going the extra mile and beyond the scope of professionalism. My previous experience before Jmine lacked post sales service as it was hard to reach and my queries were never answered after the session giving me the impression that they were very commercialized. I will continue to engage the services of Jmine Consulting because of their trustworthiness." "I found the service provided to be value for money and Jmine Consulting to be a willing listening ear, non-judgemental and respectful. Furthermore, the sessions were gentle and clear. SInce consultation, I found my business has improved many folds and I feel less lethargic. The after-sales service and support was good and my queries answered very clearly. I would continue to engage their services as their positive results are evident." "I found the pricing of Jmine to be very reasonable as it came together with free after sales service that was very helpful before and after the consultation as I even consulted on the date and time for renovations that I thought to be important. I found the service provided to be helpful as both my husband and I were going through a rough patch in our careers and the advice given by Jmine was calming and significant plus the Feng Shui advice given has helped us ride through some difficult times and now things look much better. I found the consulting sessions to be good and they were even able to know about the head and body aches that I had been suffering from since childhood that only those close to me were aware of. Jmine minimizes my expenditure and only recommends items that are totally necessary by being honest and very thorough in the requirements of purchases. I found the changes to be a process and on a daily basis. The after sales service and support was very good and my queries were answered promptly, clearly and to my satisfaction. I researched and called other providers but found that Jmine was the only one that truly wanted to help me by answering my queries over the phone even before I had even engaged their services. I would continue to engage Jmine as I want my yearly reading done so that I am able to foresee mishaps and to try to minimize their effects. I have already referred Jmine to my colleagues and customers and they also did my office's Feng Shui." "I found the pricing of Jmine Consulting to be reasonable, the service to be good and the advice given in the consulting sessions to be clear. The changes I have found after 2 weeks is that my elder son has definitely cut down getting into my younger son's bed in the middle of the night. The after sales service is great and friendly and was able to get my queries answered promptly, clearly and to my satisfaction. I found other Consulting providers to be cheaper but their products were very expensive." 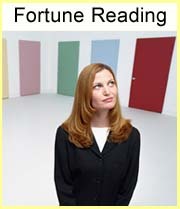 "I have been working as a Business Development Executive and activating wealth luck is something I am always keen for. I engaged the correct company to do my office Feng Shui review. I had engaged Jmine Consulting to carry out a Feng Shui Review of my house previously and have been a loyal client of Jmine Consulting because of their proven track record or as I would put it their miraculous results. Jmine Consulting's Feng Shui methods include implementing modern, scientific and contemporary approaches in order to activate positive Feng Shui in my office and home. Below is a summary of the effects of positive Feng Shui in my office. My office had a Feng Shui review done previously by a free lance consultant. I was fortunate to have been allocated a cosy and private working space in the office. But sales were not well ever since I sat in the space allocated to me. Rejections were greater then ever and sales were low for 2 weeks. Out of desperation and being stressed at having to hit my sales target of S$50k per month, I engaged Jmine Consulting to review my working space and correct the Feng Shui if needed. I will not share their analysis and advice. In short, I bought a Pi Xiu, one amber crystal (real one, but surprisingly cheap) and one rare crystal which was meant for prosperity (cheap too). I bought these items without hesitation and invested less then S$250 for the Feng shui review and the crystals. 3 weeks after the review took place, I closed a deal worth S$77K in just ONE DAY. My boss witnessed it and was amazed by my salesmanship. I was amazed myself and did not expect the deal to work out so smoothly. I presented it, negotiated the terms and the client signed and endorsed it at one go. To continue to have amazing results, I too have to work hard in order for the Feng Shui to be effective and powerful. Jmine Consulting's accurate and simple Feng Shui consulting has not failed me since I first engaged them in 2006." A member of Jmine emailing list. "I find the pricing to be very reasonable and affordable and the service provided to be specific to the individual and personal in that Han Teen is very patient with my non-stop questions and able to provide good logical answers and sometimes very scientific. The Consulting sessions are informal and friendly and I feel very much at ease like a good friend has dropped by to have a cup of coffee. I definitely see situations and moods changed for the better after the purchase and placing the products in the recommended locations. I noticed the changes in as fast as two days when my mom struck lottery a day after the placement of golden ingots in the 'Wealth Position'. The after-sales service and support is unbeatable as I cannot remember how many times I called Han Teen for a chat and realign my 'focus' and direction. Compared to other Consulting providers I found what I needed in Jmine. When using the services of other Feng Shui consultants, I would not get satisfactory answers or I would get brushed of and mind you those services were not cheap. I would definitely continue to engage the services provided by Jmine Consulting due to their sincere attitude to help people(like how she has helped me) and the sound advice given has gained my respect. Furthermore, I would recommend their services as I can see many people around me who could have their lives improved through Jmine's personalised services." "I find the consulting sessions to be comfortable and very detailed and the after-sales service and support provided to be very good. Compared to other Consulting providers I find her to be very comfortable and confident and I would definitely continue to engage her services because she is easily approachable and trustworthy." “I found the pricing to be reasonable and the services provided were to my satisfaction and met my needs. The session was also comfortable and the advice given clear. Work life for D. slightly smoother with Management and the effects of the Pagoda can be seen with the change in tremendous energy force for the 1st week and the personal jade Pixue for E. is working. Found the after-sales service and support to be marvelous and queries responded to promptly, clearly and to my satisfaction. “I find the consulting sessions to be comfortable and the advice to be given clear, especially when I am confused about the surrounding factors. Consulting sessions help to clarify and focus; it is not an overnight effect. From environmental Feng Shui at my home, the change is significant among us-become more understanding towards one another and sister found a very good job within one day. “I am happy with her analytical approach that is simple to understand and found her to be a cool and helpful lady. I trust her so I invested in the products that were recommended, as they were affordable anyway. I experienced a better career promotion and power in my working place within 2 weeks. The consulting is less commercialized and business oriented and is more personalized which is lacking in the market and furthermore she is more professional and well trained in Feng Shui. “I find the pricing to be reasonable and find the after-sales service and support to be excellent and the response immediate. Harmony in the family and an improved working relationship at work within a week. "Its was really by chance that i decided to call you after holding on to your contact for more than 1 year. And it was indeed an amazing experience! I personally find things are not so bad afterall now, especially acquiring your numerous jades. I would like to clarify that i am not a superstitious person, and will largely avoid 'fortune tellers' who are generally interested in making $$$. Maybe you already have enough money and is not driven by it! : ) I find you calming, and you are able to help to reduce my anxiety, esp after knowing some 'negative events' may fall upon me. It is also strange that the many friends that i refer to you, mostly said the same thing! And i am glad their situation change for the better! Maybe it's coincidental or your Jades are working! Whatever the reason, we all agree to one thing, it doesn't matter what is the reason that things have changed for the better. It can be due to our subconcious mind becoming more positive, or we become more aware of our surrounding hence showing more alertness to protect ourselves. The best part is your jade products are within our budgets, cos if its anything like what the shops are selling, i guess it will really become a burden! Hope you continue in this special trade and may you have a good following of loyal customers!" "Thank you for your time. You are one of the most sincere Feng Shui professionals I have met. I hope that you will accumulate lots of brownie points through helping commoners like us and have a blissful and blessed life." " Your reading was the most detailed one I've ever gotten. It also made me understand myself better and why I act the way I do . Most importantly, by giving me insights into my destiny, I will know how to navigate my way to the life I aspire to have . It's uncanny how you read my character so accurately and even aspects of my life that have happened so far." "Do you still remember that I once told you I like to venture into car business? Ironically my reading for this month indicated that there might be an individual or organization that wanted to cheat me of my money. Guess what, the person who proposed a car business partnership is on the run. As far as I know, he had gotten some money from some of my friends, supposedly for investment purposes but currently is no where to be found. Your reading is excellent and I would like to thank you sincerely for the advice and alert that you have given. Else I would have been one of the victims too." “The techniques taught in this class are quite straightforward and easy to pick up, thus enabling one to practice even after the class has ended. After completing these classes, I am able to focus more easily compared to when I first started the classes. I also feel calmer and am not easily affected by other’s comments or actions. “I feel that I can shut off mind cluttering quite fast after taking the class. I am more mindful nowadays. I have learnt different breathing techniques, meditation itself and meditation with crystals and flowers. The teacher answered all our queries and met our needs.